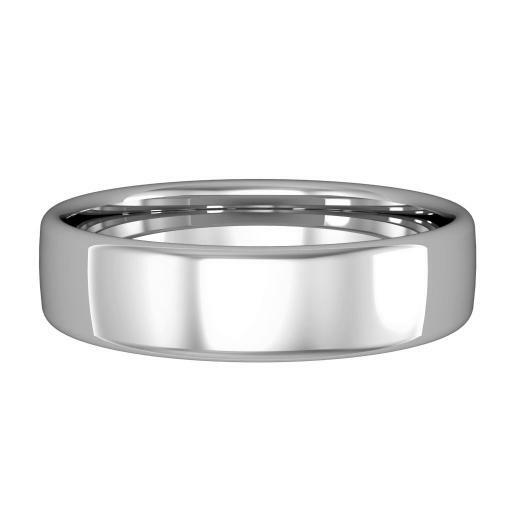 This contemporary wedding band is crafted from 9ct or 18ct white gold with a 5mm width. It is made with a bombe court shaped profile, which means that the inside is slightly rounded but the outside is flat with slight curves on the edges. This rounded inner shape is designed to maximise comfort and wearability whilst the outer design encapsulates modern style.